Obermeyer Place provides a sophisticated urban mixed-use project that combines service commercial businesses, affordable housing and twenty two high end residences. 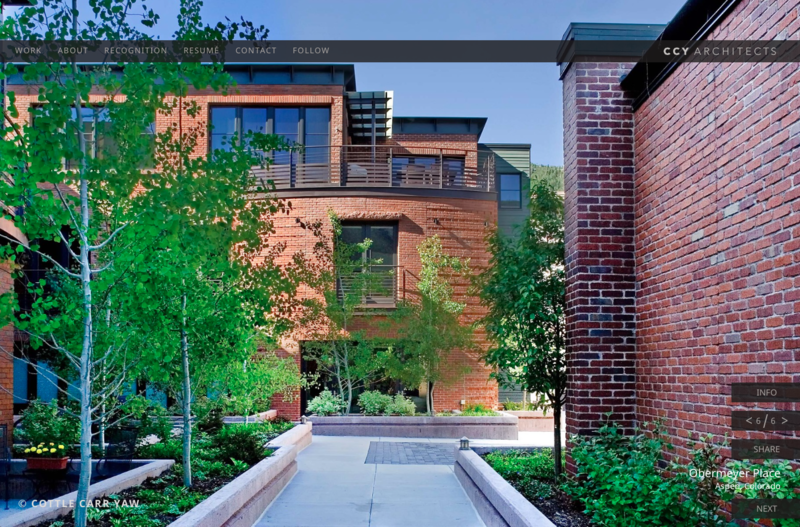 Pedestrian walkways weave through the five buildings and provide access from Aspen’s core to the river and park. CCY Architects.